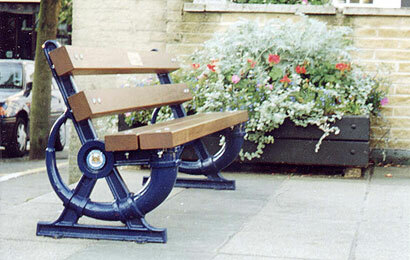 Outdoor seating is a key feature in the history and development of street furniture products. Originally supplied by the ubiquitous Victorian railway companies to provide rest for weary travellers, seating provision is now a mainstream landscape design requirement. The move from these utilitarian roots has seen seating provision become a primary element in designing urban and rural spaces, from city centres to remote villages, from urban green areas to national parks, the provision of outdoor seating is a central requirement. 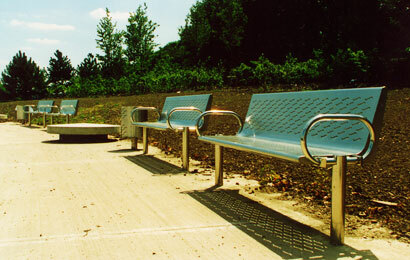 ASF's range of cast iron seating and outdoor seating products are designed to meet the needs of any scheme. ASF seating has developed over many years of production and as such encompasses all styles and fashions, all uses and requirements. ASF's broad range of cast iron and timber seats are manufactured in an on site foundry and pattern shop, which also means that bespoke and one off products can be designed and made to order. ASF's fabrication and engineering capability means that steel and stainless steel seats can be manufactured to any design with any finish. 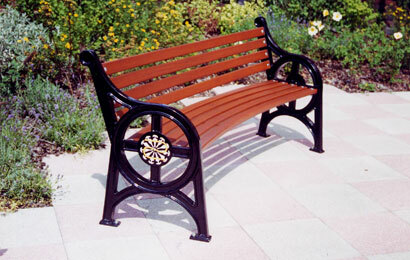 ASF also have the resources to manufacture seating in granite in a variety of material colours and factory finishes. The bespoke nature of ASF's manufacturing process means that materials can also be combined - cast iron, steel, stainless steel, granite and timber can be used together to create stylish and practical seating solutions. Where it all began! It is probable that the very first street furniture, in the modern sense, was seating - Victorian railway companies provided seats for their customers - at the time a practical utility that quickly became decorative and in some cases corporate. Rail companies developed their own seating styles, cast with company logos and often very ornate seat ends to show off their wealth, skill and corporate identity. Seating and transport are still hand in glove today - railway stations, bus stations, bus stops, taxi ranks, ports, docks, canal basins and airports all offer seating for their customers in styles which often reflect either the company identity or the surrounding architecture and design. ASF have provided seating for the transport network for many years, and continue to supply not only traditional seating but also develop new styles for modern transport networks. Supermarkets, chain stores, department stores and more all see the importance in providing their customers with a place to sit and rest. Primarily a practical requirement with a strong trend towards customer service, many retail companies realize the importance of providing somewhere to sit outside their premises. Retail parks are the new reality in shopping and their Vegas strip of retail outlets attracts shoppers in their thousands. Retail park designers are aware of the importance of keeping people on the strip, and that little bit of rest offered by outdoor seating areas does just that. ASF can design and manufacture outdoor seating to meet the exacting needs of this diverse customer base. Local Authorities and Councils are aware of the need to provide seating in urban areas. Giving shoppers and city visitors a place to meet and rest has long been one of the priorities of urban design. Getting foot traffic into town and city centres has many values, not least the creation of revenue and income for shops, food outlets, pubs, clubs and entertainment venues. Outdoor seating not only gets them there, but keeps them there. Seating can be more than that though - designed to be either modern and cutting edge, or traditional and stylish, ASF seating can reflect both its surroundings and its needs. Further still, the inclusion of logos and coats of arms promotes citizenship, civic identity and civic pride. Taking Urban Design to the next step: the concept of removing street clutter and traditional delineation between pedestrians and vehicles. Starting life in the Netherlands, this idea is a refreshing way to view urban areas and encourages the diplomatic sharing and use of space. All elements of the area are included - pedestrianisation, roadways, seating and retail space are all catered for individually but at the same time shared. This throws up new challenges for the urban designer and landscape architect. ASF can work alongside these needs to develop innovative and creative solutions for this new but exciting brief. Whether on the village green, outside the local pub, on the seafront or along the river bank, outdoor seating offers the space and more importantly the opportunity to enjoy the moment. ASF believe that a person's surroundings have a direct impact in the quality of their lives, this is often and rightly applied to urban design schemes but just as important is the chance to enjoy natural beauty and the rural idyll. Well placed seating at a beauty spot or a viewpoint, areas of scientific interest, historical significance, or merely just a quiet corner, adds real value to people's lives. The classic use of outdoor seating for many people, and not to be overlooked. Man made green areas are oftentimes a persons only escape from the rat race. Whether it's a snatched half hour at lunch time, a Sunday morning visit to the park with the family or a long sunny day lounging with friends, these areas play a role in the lives of millions. This means that a park bench is much more than its name - a park bench is a restaurant, a park bench is a sun bed, a park bench is a perfect perch for people watching, a park bench is a picnic area and a park bench is sometimes a place for that first kiss.